If you are involved in a car accident in the busy streets of the UAE and you don’t know how to proceed, then, don’t worry just yet! 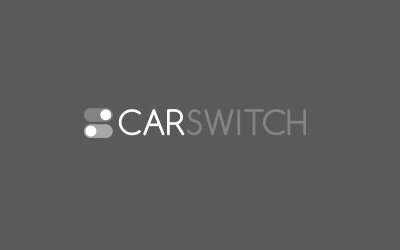 Carswitch.com presents an easy step-by-step guide on how you can report an accident in your new or used car in the UAE. Before reporting the accident, some preliminary steps have to be completed right after the accident has occurred. If you are not severely injured and the damage to the vehicle is minimal, then move the vehicle to the side to avoid causing a traffic jam. If the other driver flees the scene or does not wait for the police to arrive, then head over to the nearest police station and file a report. If you are not at fault, you will be given a green paper to enter your insurance details. If your vehicle gets damaged while parked, call the police or go to the nearest police station to file a report. After you have explained the incident to them, a damage report (which will cost around 50 AED) will be handed to you for your insurance company. (Protip: report the damage as soon as you have seen it). After the initial steps have been completed, you need to report the incident. To report the accident call the police and if needed, request medical services. After the police arrive, provide them with your original driver’s license and mulkiya. Stay calm – the police will decide who is at fault. After clarification, the police will provide both parties with an accident report. If it’s pink, you’re at fault. If it’s green, the other party is at fault. Call a recovery vehicle if yours is undrivable. After all the paperwork is done, you will submit it your insurance provider – you will either pay for the repairs or claim it. If you received a green paper, then you will have to send the paperwork to the other parties’ insurance provider which will organize the repairs. Accidents can also be reported through a Dubai police app. This app is available on all mobile phones in various languages. Submit the location of the accident via GPS. Select how many vehicles were involved. You can upload up to 5 pictures of the damage. Enter the required details, such as the names, ID card numbers, number plates. After this, the complaint will be sent to the nearest police station, followed by a 15-minute waiting period. The report will be emailed to the involved parties as well as their insurance providers. If both parties can agree to whose fault it is, well and good. Otherwise, separate complaints can be filed and the police officers can determine who is at fault. If more information is needed, the police officers can call and ask. Do note: this application cannot be used if only your vehicle is involved. Accidents aren’t a pleasant experience! Car switch offers the best tips on how to drive as safely as possible. Moreover, If your car has been damaged or totaled, don’t worry! You can buy new and used cars by simply visiting Carswitch.com. Happy shopping! Buying a Car in the UAE: Where to Start? Buying a car in Dubai, UAE can be a challenging task. However, narrowing down your requirements. There are various car maintenance tasks that you can do yourself. One such task is changing. There are some maintenance tips that you must follow to keep your used car Dubai in.